Facebook's Safety Check is now in the hands of the users, and here's how users can activate safety check tool on their own in 3 simple steps. 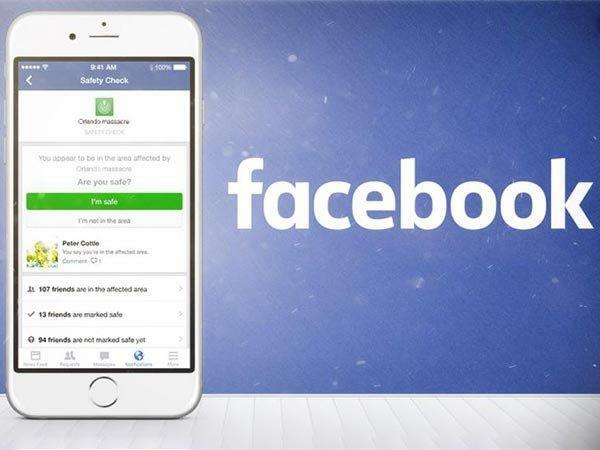 Facebook had recently rolled out a feature called Safety Check, which the social media platform would manually update if several users together post about a natural calamity, allowing people to notify their friends and family members of their condition and safety. The Safety Check feature earlier was in the hands of Facebook, and its now that the social media platform handed over the responsibility to its users. Yes, earlier Facebook used to create a security check for only the biggest disasters occurring around the world, and now be it a small flood or any other disaster at any corner of the world, users can create a Safety Check all by themselves. Here's how to create a security check by yourself, and inform your friends and family members about your well-being. In case there is a calamity you can safety check on Facebook, letting your concerned friends and family members know about your well-being just by first updating a status. The status should explain about the misery in details and everything related to the incident. After you post the status, you will automatically get the option of Safety Check, pinned at the top of your news feed. Click on the "Go to Safety Check" option next. Right after clicking on the "Go to Safety Check" option, Facebook will drive you to a safety check page, select the location or area and the event happening and mark yourself as safe by clicking on "I'm Safe". Facebook will also let you know when a friend in the same area marks them as safe, and also in case if your friend is unsafe, the social media platform will notify you. Yes, your favorite social media platform will soon come up with this "Community Help" with which people stuck in a natural calamity can ask for food and other necessary things from others to ease the situation.